Your fireplace may not need a full makeover, but a simple update. With a fireplace surround kit, homeowners can start thinking about a DIY approach for a new fireplace look. If you’ve always wanted a different fireplace surround, consider this post as your go-to resource for getting started. Construct your own surround from raw materials. Depending on the look you want to achieve, you’ll likely need to find stone, treated wood, stain, trim, adhesive products, and other products to ensure the quality of the finished product. Purchase a pre-cast fireplace surround from a reputable vendor that includes all of the materials that you need. 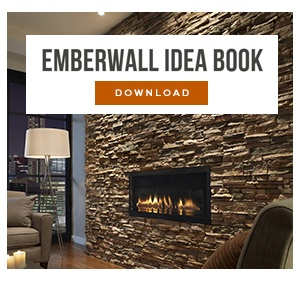 Choose the look you want by purchasing hearth stones or additional filler panels. Have a professional install it for best results or, if you have the know-how, do it yourself. In no time, you’ll have a beautiful fireplace surround. You can take either approach you want, but DIYing a fireplace surround from scratch without prior experience is extremely challenging and may end up costing you more in the end, especially if you need professional help in the middle. With a pre-cast fireplace surround, you’ll receive instructions, complementary colors, and other materials needed to complete the job. You choose the hearth stones separately to increase your options. Acquire materials and tools. To create your surround from wood, you’ll likely need a nailing gun, tape measure, hammer, sandpaper, caulk gun, paint brushes, a compressor (to run the finish nailer), a table saw and/or miter saw, and a drill at minimum. For stone and concrete work, you may need additional tools. Other materials may include caulk, paint, stain, adhesives, cleaning supplies, wood, and nails. Measure twice and cut once. Whether you choose a simple wooden box design or a more elaborate post design, you’ll need to cut and fit the wood surround to the fireplace. For other materials, you may need to create a mold or learn how to arrange and lay custom stonework. For tile, stone, and brick, you’ll need a special tool to cut pieces to size. Secure the surround. Depending on the backdrop for your surround, you’ll need to adhere your new surround to brick, stone, or wood. If you’re following a tutorial, pay close attention to the adhering process. You may need to use a drill or a strong adhesive substance to secure your surround. Double check codes. You could face fines later if your surround doesn’t meet building codes. Always check local building codes before you add wood to any fireplace. Every surround design requires a different approach, but many custom designs are involved projects that require time, money, the right tools, and some elbow grease. On the other hand, a pre-cast fireplace surround may offer the convenience that you need to get the fireplace you’ve always wanted. Place your order. 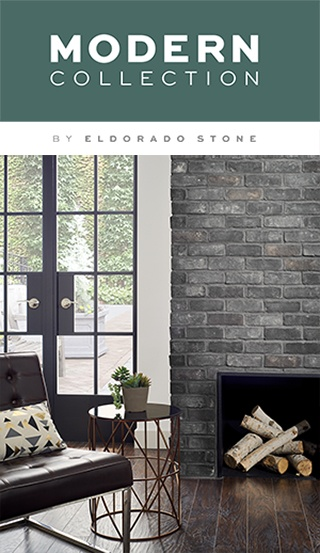 Find a vendor such as Eldorado Stone, speak with a representative or explore our products online, and select the surround that matches the finished product you want to see. Our fireplace surrounds are available in five colors and two finishes (smooth and travertine). You can order a sample kit to test colors and textures before investing in a full-sized version. Check your supplies. Each surround comes with the mantel and legs, the ledger boards, adhesives including screws and industrial glues, color-matched caulk, trim panels, and color wash for touch ups. Follow the instructions. Read through the instructions fully. Watch a tutorial before starting – many people like the streamlined nature of the pre-cast fireplace surround with a professional installation. When you invest in a new fireplace surround, you can decide to make the process as complex or as simple as you want. Our fireplace surround offer durability, streamlined installation, and peace of mind. Explore the Carmella surround today.